Built to coincide with Kazan's 1000 year anniversary. 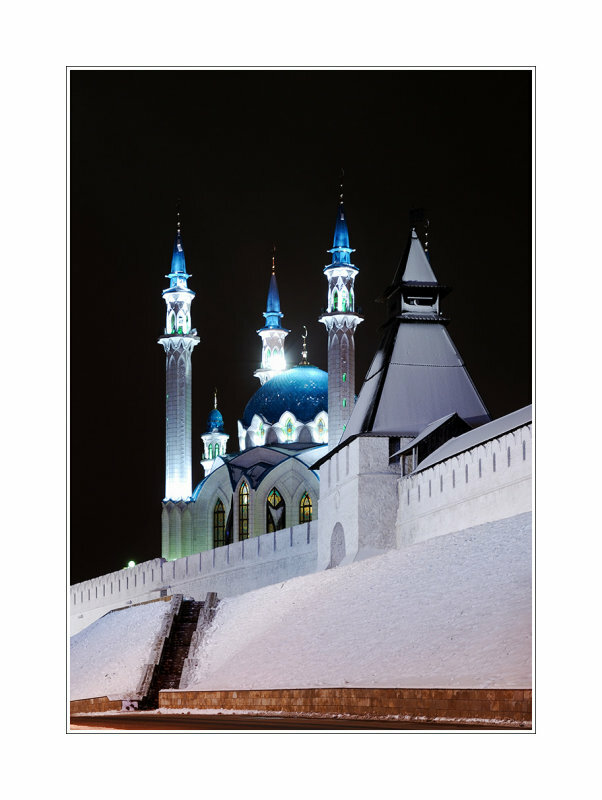 Kul Sharif mosque stands on the site of an old mosque of the same name which was destroyed when Moscow conquered Kazan in 1552. The mosque is the largest in Russia, and reputedly also the largest in Europe. Ahhhh, Dimitri, this is superb and i can`t believe the coincidence! I was just commenting on the gallery of another PBase member on....Kazan!!! Wonderful light and colors. Splendid architecture. When was it built?